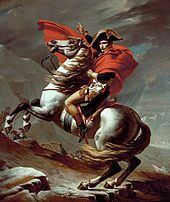 Napoleon Bonaparte had many Irish connections throughout his career. His doctor on St. Helena was the Irish Naval surgeon Barry O’Meara and it is rumoured that Marengo, his famous grey war horse was in fact, Irish bred. However, there are some very real influences which bind Ireland to Napoleon and the Napoleonic wars namely through the guise of the famous Myles Byrne of Monaseed who became Chef de Battalion in Napoleon’s Irish Regiment and of course the Emmet brothers Thomas Addis and Robert. Over the coming weeks we will be adding some interesting reading material to this page which will shed light on the enourmous influences that Irish men had on Napoleon and in turn, the influence his ambition had on the fight for Irish freedom.